We have had a great journey down to Dorset, our driver was able to avoid heavy traffic which meant we were not delayed in arriving. 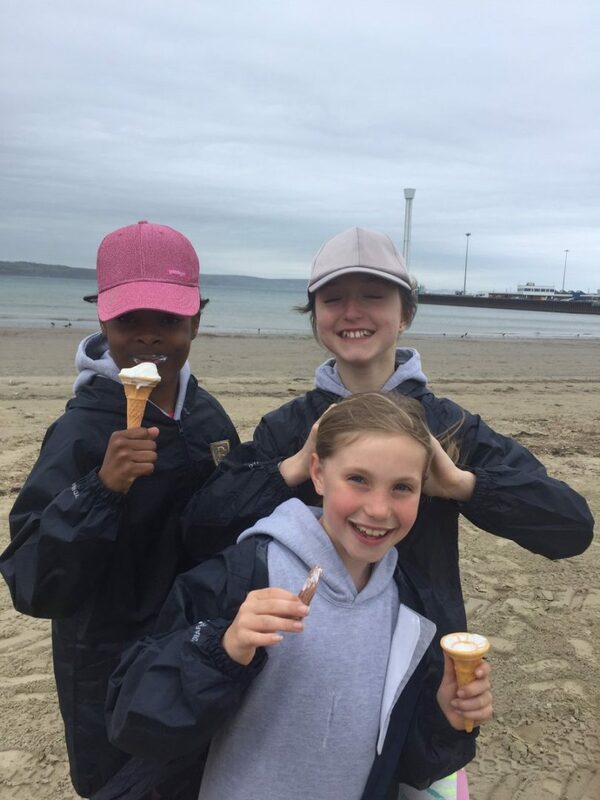 Before heading to the PGL site our wonderful coach driver Phil dropped us off at the beach in Weymouth, some of us enjoyed football with Mr Brindley whilst others built sandcastles. All of us enjoyed a traditional ’99’ ice cream with a big flake in the top. We have now all arrived safely at PGL Osmington Bay where we were met by our enthusiastic PGL rep called Molly. We quickly found our rooms and after a short break we set off to find the dining room, the food looks great and I’m sure we are not going to be hungry during our stay. After dinner we have our first activity called ‘Cluedo’ which will be run by Molly and then we are off for an early night before we start our activities early tomorrow morning.